Episode 65 features an interview with astrologer Maurice Fernandez about a new book that he edited titled The Professional Astrologer: Building a Successful Astrology Practice. The book was published by the Organization for Professional Astrology (OPA), which Maurice is the president of, and it features contributions by a wide range of practicing astrologers which provides an overview of the field of astrology as a profession or vocation. 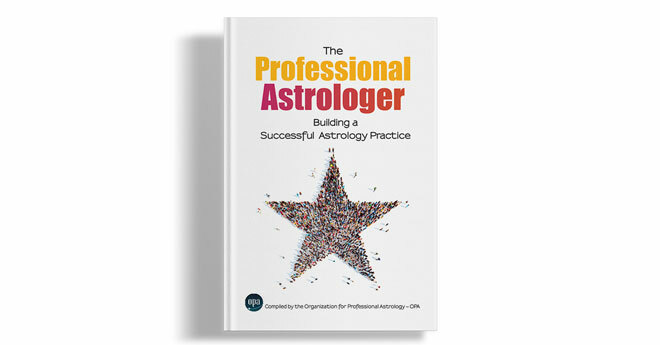 The purpose of the book is to give people a guide for how to make the transition from doing astrology as a hobby to doing it professionally as a full-time career. Below you will find an outline of some of the topics covered during the course of the episode, followed by links to download or stream the recording. Background information on the Organization for Professional Astrology. Discussing the purpose of the book and goals the organization wanted to accomplish. Identifying areas of potential growth within the astrological community. Improving the public perception of astrology. Helping astrologers to feel confident about what they do. Identifying different demographics within the field. Giving an overview of some of the different chapters in the book. Interviews with professional astrologers, including Steven Forrest, Melanie Reinhart, Kim Marie, Chris Brennan, Hakan Kirkoglu, Caroline Casey, Madalyn Hillis-Dineen, Linea Van Horn, Donna Woodwell, Ray Merriman, and Aleksandar Imsiragic.